Nigeria is unarguably one of the largest economies in the Sub-Saharan Africa. Though she relies majorly on oil, her economy is also grown by pockets of corporate organizations covering almost all spheres of activities within the country, ranging from multinational corporations with offices within the country, indigenous companies, and largely by small and medium scale enterprises (SMEs). Our area of focus in this discourse is the Small and Medium scale Enterprises (SMEs). SMEs are non-subsidiary, independent firms/organizations which employ fewer numbers of employees. This number varies across countries. According to the European Union (EU), SMEs are categories of micro, small and medium-sized enterprises which employ fewer than 250 persons and which have an annual turnover not exceeding 50 million Euros. In Nigeria, the Central Bank of Nigeria in its monetary policies circular No. 22 of 1988 defined SMEs as enterprises which have an annual turnover not exceeding Five Hundred Thousand Naira (N500,000). For the sake of clarity, the National Policy on Micro Small and Medium Enterprises (MSMEs) has given a clear distinction of enterprises, based on employment and Assets. SMEs are organizations which can best be described through their capital, scope and cost of projects, annual turnover, financial strength and number of employees amongst other things. Such organizations must and can be registered under any part of the Companies and Allied Matters Act (CAMA) in order to do business in Nigeria. Nevertheless, it is usually advised that SMEs register under Part B of the CAMA. The basic requirements to enable an organization properly do business in Nigeria are as enumerated below. A prospective business owner will be expected to have chosen at least two possible names which are unique, suitable and not controversial or inconsistent with the provisions of the regulatory laws, and conduct an availability search by filling and filing the necessary forms to ensure that the names are suitable for registration. Upon the approval of a suitable name, an application is made to the Commission after the payment of the necessary fees for the reservation of the chosen name. The reservation shall be for a period of sixty (60) days, during which no other company shall be registered under the reserved name. The implication of this is that an applicant has a window of sixty (60) days within which to resume (and complete) the process of registration of the company in the reserved name, and has the sole right to the use of the name. At the expiration of the sixty (60) days window, any other person can apply for the use of the name, and the previous applicant shall have no right to claim exclusivity to the name, unless he applies for another reservation of the said name immediately the previous reservation expires. It is pertinent to note that with the Federal Government’s drive on improving business in Nigeria, registration at the Corporate Affairs Commission can now be carried out from start to finish online. Upon the registration of a company, the Companies and Allied Matters Act (CAMA) requires such a company to get a company seal (stamp for business names) which will be used on documents executed by the company. This is regulated by the Federal Inland Revenue Service (FIRS). The Inland Revenue Services of the state in which business names are located also regulate the collection of these taxes. This enables the company make returns on Company Gains Income Tax (CGIT) and the Value Added Tax (VAT) payable by it. Payments are still made manually through designated Banks, although there are ongoing plans to implement online payments. A taxable person/company is expected to register with the FIRS Board within six (6) months of commencement of business. Failure/Refusal to register with the Board amounts to an offence punishable under the law. Upon registration at the appropriate authority, an Employer’s Tax Identification Number (TIN) will be issued with which payments will be made in favor of employees. It is expected that each employee must have generated their individual TIN. The TIN is a unique means of identification for a company or for an individual, specifically for the purpose of tax remittance. It is prepared and issued by the tax office upon application. The essence of the TIN is to show that the business owner/individual is a registered tax payer in Nigeria. Failure to register attracts a penalty in addition to payment of arrears of the tax due. It is pertinent to note however, that Incorporated Trustees do not require TIN since they are non- profit making organizations. Apart from a means of identifying a tax payer, the TIN is necessary to open a Business account, for acquiring licences related to trade, import and export, for foreign exchange and receipt of capital importation; to obtain tax incentives, waivers and tax allowances; and to obtain Tax Clearance Certificates for employees. PAYE registrations are done by filling out the necessary forms at the designated tax office. Every business is expected to register with the Regulatory body under which its business is categorized. This is to ensure compliance with the expected best practices of the sector. Upon satisfaction of the enumerated procedure, an SME can conduct business in Nigeria. Register of Members used to record the names and particulars of previous and existing members, including their shareholding. It should also include the date each person became a member or ceased to be a member. This applies to all types of companies, whether public or private. Register of Directors and Secretaries reflecting the names and particulars of past and present Directors and Secretary, also specifying the date on which they assumed or left office. A company shall not have less than two (2) directors at any given time. Where such happens, the company shall within one month of the shortfall, appoint new directors to the company. It is pertinent to note that the Law shall hold liable a Director (or member) of a company who knows that a company carries on business after the number of directors has fallen below two for more than sixty (60) days. Minutes Book. The minutes book is a record of all proceedings of meetings signed by the Chairman (and Secretary) as evidence of what transpired in the meeting. It should be available for inspection at any time during a business day. Accounting Records This is the financial record of the company showing and explaining the transactions embarked upon and the It is pertinent to note that the financial statement of a company is expected to be filed yearly at the Corporate Affairs Commission. Failure to do so within the stipulated period attracts a penalty, and also limits the company’s ability to do any other form of filings with the Commission. Index of Directors Shareholding. This book records the shares (or debentures) of the Directors in the company. It is a mandatory book to be kept by public and private limited liability companies (LLCs). Register of Debenture Holders is the record of names and particulars of debenture holders and the details of the terms of issue. This record should be updated within thirty (30) days of creation of the debentures, and also within thirty (30) days after such persons ceased to become debenture holders. It is a mandatory requirement for Limited and unlimited companies, whether Public or Private. Register of Charges for records of fixed and floating charges created by the company on its assets. It is also a mandatory book to be kept by private and public limited liability companies. Index of Members, showing the number of members in a public limited company. The law stipulates that companies having more than fifty (50) members are mandated to keep an index of its members. Register of Substantial Interest in Shares which keeps a record of persons who have acquired at least 10% voting rights in a Public company. Notice of such rights is also given to the Corporate Affairs Commission. 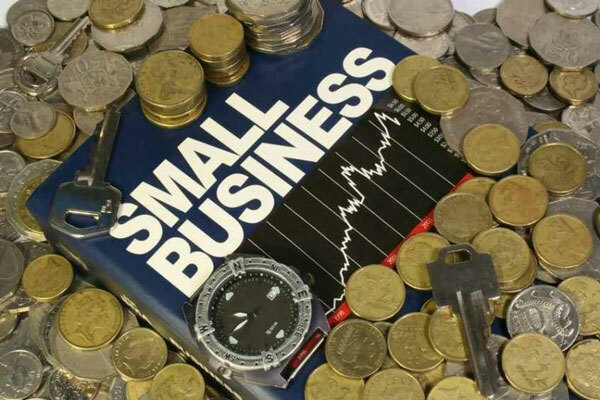 Small and Medium Scale Enterprises (SMEs) form the bulk of the businesses in Nigeria. The attraction to the owners include being less capital intensive and flexibility in filling the need in niche markets. Their contribution to the growth of the Nigerian economy cannot be understated as they drive the economic and industrial transformation of the country. Limited availability of funding from financial institutional and the government. This undoubtedly slows down their growth trajectile and impedes the development of Nigeria as a truly world acclaimed economy. High Cost of Credit facilities inclusive of interest rates and maintenance costs and the demand for duly registered collateral obligations. Inconsistency in Government policies and bureaucratic bottlenecks experienced in the administration of incentives and support facilities from all levels of government. Multiple taxes as a result of levies and other tax expectations from both the State and Local Government Areas. Lack of and/or limited infrastructures like power supply, good roads, transportation system. Unavailability of local raw material. High cost of procuring machinery. Notwithstanding the setbacks and challenges confronting Small and Medium Enterprises, if properly equipped, they have the capacity to grow the economy and contribute to a Nigeria that can take its place in the world stage. An enabling environment which also makes room for healthy competition among SMEs will attract both local and foreign investments. It will also encourage the creation of employment opportunities in the country, contribute to the growth of the national income thereby increasing the nation’s Gross Domestic Product (GDP). What is required to substantially achieve this? Provision of adequate infrastructure-good road networks, adequate power supply, good communication and health care system. Elimination of multiple taxation system wherein dues and levies at the different levels of government and under different authorities are replaced with a single tax system. Government encouragement through tax holidays and rebates to start-ups who have demonstrated capabilities in sourcing of local raw materials. Provision of accessible and well priced credit facilities; effective marketing and distribution channels for SMEs through government agencies like SMEDAN. Encourage the use of Microfinance Banks to disburse loans and attainable payback mechanisms. OECD, 2005, OECD SME and Entrepreneurship Outlook. Micro Enterprises – less than 10 employees, and less than N5,000,000 (excluding land and buildings); Small Enterprises – between 10-49 employees, and N5,000,000 to N50,000,000 (excluding land and buildings); Medium Enterprises – between 50 -199 employees, and N50,000,000 to N500,000,000 (excluding land and buildings) – Small and Medium Enterprises Development Agency (SMEDAN) 2007. Section 30 CAMA specifically prohibits the use of names which are identical or nearly resembles an existing company; or names which contain the words “Chambers of Commerce” unless it is a company limited by guarantee; or names that will be misleading, offensive, undesirable, or in the opinion of the Commission will violate the existence of a trademark or business name. the section also prohibits except with the consent of the Commission, the use of names which include or contain words like “Federal”, National”, “Regional”, “State”, “Government”, “Municipal”, “Co-operative”, “Building Society”, “Group”, or “Holding”. The CAC has consolidated the set of forms usually required for registration into one document known as CAC 1.1. It includes all forms except the Return of Allotment (Post Incorporated) Form. The PresidentialEnabling Business Environment Council (PEBEC) was set up in July 2016 by President Muhammadu Buhari to remove bureaucratic constraints to doing business, and to foster business growth in Nigeria. Section 8 of the Value Added Tax Act. A Company is expected to hold its first Annual General meeting within 18months of incorporation. This does not concern Private companies who by the provisions of Section 22 of CAMA are restricted to no more than fifty (50) members. In 2017, the Federal Ministry of Industry and Trade upon approval by the Federal Executive Council (FEC) , published the list of 27 new industries which will enjoy pioneer status with approved tax holidays ranging from three(3) to five (5) years.